You may remember that I had a great time at the Test of Honour Warring States campaign day, organised by Infamous Wargaming a few weeks ago. 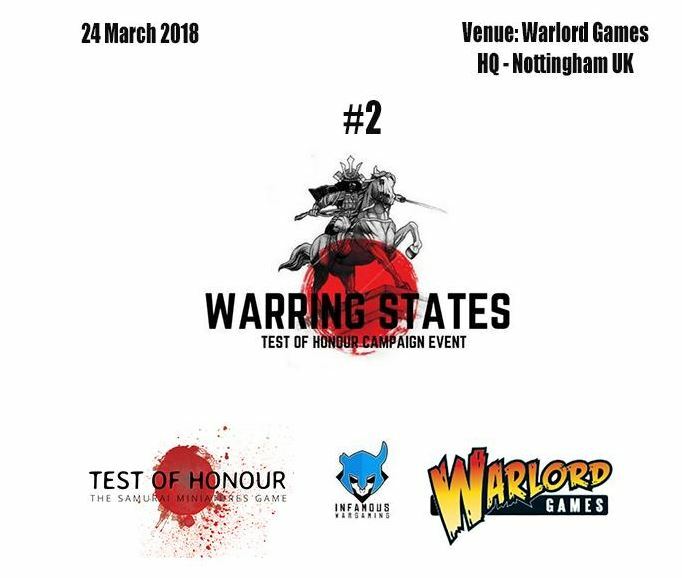 Well, they are doing it all again on the 24th March 2018, in Warring States #2. Tickets are on sale at the Warlord Games website, and cost £20. At time of writing there are 18 left. This was a fantastic day of gaming last time – I would highly recommend it.